His son, William, was born in London just prior to the admiral's departure for the Irish seas" indeed, he had already started down the Thames when the news of his son's birth reached him, and he hastily left his vessel and returned home. The family resided in Essex during the father's absence, and from his mother the boy acquired his strong religious faith. He was sent to a free grammar-school in Chigwell, thence in 1656 to a private school on Tower street, London, and during the residence of the family in Ireland he studied under a private tutor. Three years later he went to Christ church college, Oxford, where among his companions were Robert Spencer and John Locke. He soon acquired reputation as a hard student, a skilful oarsman, and an adventurous sportsman. His reading at this time was solid and extensive, and his acquisition of knowledge was assisted by an exceptional memory. He had an excellent; knowledge of history and theology, had read the chief writers of Greece and Italy in their native tongues, and possessed a thorough knowledge of French, German, Dutch, and Italian. His father was advised of his conduct, and at once recalled him to England. After remonstrating with his son, the admiral expressed his willingness to tolerate everything, provided that he would uncover himself in the presence of his father, the king, and the Duke of York. Asking time for the consideration of this proposition, Penn retired to his room, and, after an hour of prayer and meditation, returned to his father with the declaration that such a course would be impossible. The admiral, indignant at the persistent obstinacy of his son, turned him out of the house, but friends cared for him, while his mother interceded in his behalf and kept him supplied with money. A few months later he was permitted to return home, but his father refused to see him Meanwhile he preached and wrote in favor of his belief, publishing "Truth Exalted, in a short but sure Testimony against all those religious Faiths and Worships that have been formed and followed in the darkness of Apostasy; and for that Glorious Light which is now risen and shines forth in the Life and Doctrine of the despised Quakers as the alone good old way of Life and Salvation. Presented to Princes, Priests, and People, that they may repent, believe, and obey. By William Penn, whom Divine Love constrains in an holy contempt to trample on Egypt's glory, not fearing the King's wrath, having beheld the Majesty of Him who is invisible" (1668). During this time he wrote his principal and most popular theological work. "No Cross, no Crown; a Discourse showing the Nature and Discipline of the Holy Cross of Christ" (1688), which was soon followed by his "Innocency with her Open Face," a brief and vigorous reply to several answers to his "Sandy Foundation Shaken." These works increased the public interest in him, and his release was ordered through the influence of the Duke of York. He then went to Ireland on business, and while he was there he succeeded in effecting the release of imprisoned Quakers through his influence with old friends at court. On his return he became reconciled with his father, and thereafter lived on good terms with him. In 1682 he sent out Captain William Markham with instructions to take possession of the province, to search out a convenient spot of ground on which to erect a governor's mansion, and to cultivate a friendly feeling with the Indians. In September, 1682, he himself set out from London on the " Welcome," and he reached Newcastle on the Delaware late in October, taking formal possession of the territory on the day after his arrival. The province was divided into counties, which were subdivided into building-lots, and the land was put up for sale at four pence an acre. He then selected, but not without some dissension, as a site for his capital the neck of land that lies at the junction of Delaware and Schuylkill rivers, which he purchased from the Swedes, and to which he gave the name of Philadelphia. Penn's landing was made at Dock creek, where the "Blue Anchor" tavern was built, beyond which the first ten houses, known as "Budd's Long Row," were erected. This place at once grew with wonderful rapidity, and within a year a hundred houses had been built. Meanwhile, (luring October, 1682, his famous treaty with the Indians was made. On the banks of the Delaware, at Shackamaxon (afterward Kensington, and now a part of the city), stood a great elm, where in earlier times the Indians had assembled on important occasions, and the name of the place signified, in the Indian language, the "locality of kings." Here representatives of the Delawares, Mingoes, and other Susquehanna tribes made with the Quakers a treaty of peace and friendship which, according to Voltaire, "was never sworn to and never broken." 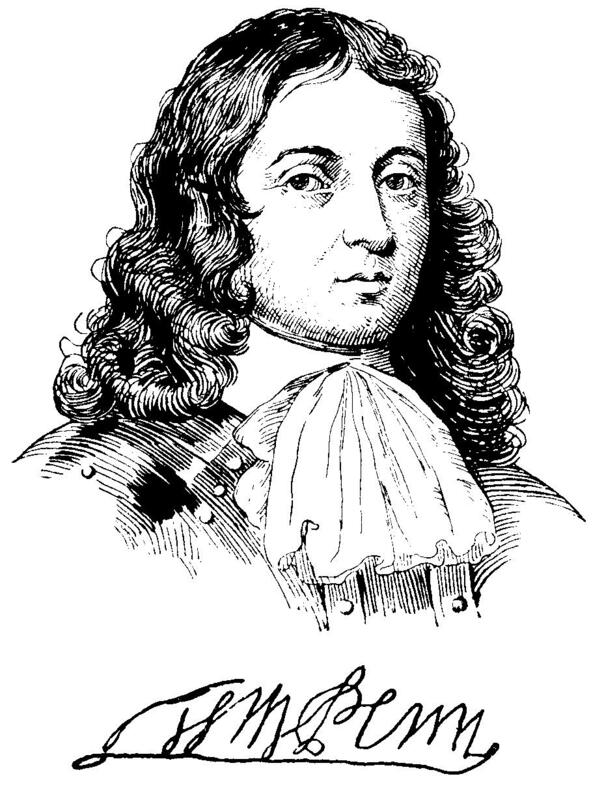 Penn then devoted himself to his duties as governor, and made treaties with other Indian tribes, and as long as any of the aborigines remained in Pennsylvania or its neighborhood their traditions bore testimony to the justice and benevolence of "Mignon," as the Delawares called him, or of "Onus," as he was styled by the Iroquois, he then visited New York and New Jersey, and after the meeting of the general assembly of the province' at Newcastle in May, 1684, he entrusted the government to a council, and in August sailed for England, leaving a prosperous colony of 7,000 persons. In his farewell he writes: "And thou. Philadelphia, the virgin settlement of this province, named before thou wast born, what love, what care, what service, and what travail hath there been to bring thee forth and preserve thee from such as would abuse and defile thee! My soul prays to God for thee, that thou mayest stand in the day of trial, that thy children may be blessed of the Lord, and thy people saved by his power." Penn was sent by James to visit William of Orange, whom he endeavored to convert to his views of universal toleration, and, after visiting in Holland, he traveled through Rhineland, where he circulated reports of the success of his colony. In April, 168'7, the king issued a proclamation declaring liberty of conscience to all, and removing tests and penalties, which was largely the result of Penn's influence. 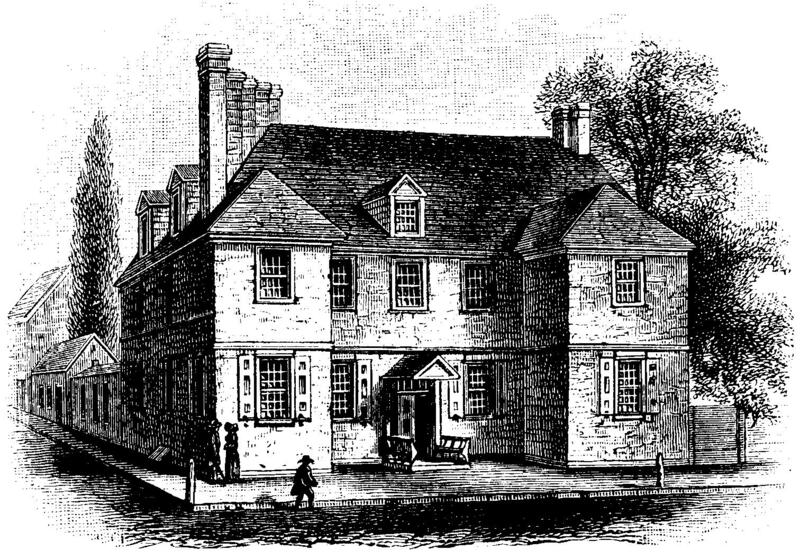 Penn was the only one of James's court that remained in London after his flight, and he was called before the lords of council, who, finding nothing against him, save that he was a friend of James, required of him bonds for his appearance on the first day of the following term, when he was declared free of every charge that had been made against him. Subsequently a letter from the exiled James, requesting him to come to France, was intercepted, and he was again brought before the council in presence of King William. 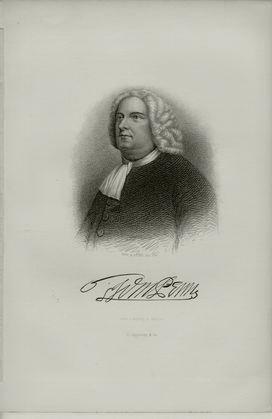 After a long examination, in which Penn declared his friendship for James though he did not approve of the latter's policy, and said he could not prevent the exile from writing to him, he was discharged. The estate of Shanagarry, County Cork, Ireland, which had descended from Admiral Penn, and certain other property, being deemed a handsome provision for him, all but 40,000 acres of the American estate were left to the founder's children by his second wife after payment of his debts, the powers of government being devised to the Earl of Oxford and Earl Powlett to sell; but the heir-at-law contested this, and issued a fresh commission to the lieutenant-governor, in which he declared himself a member of the Church of England. By advice of the assembly, the commission was not proclaimed. Subsequently an order from the regents of Great Brit-am was obtained continuing the lieutenant-governor in office. 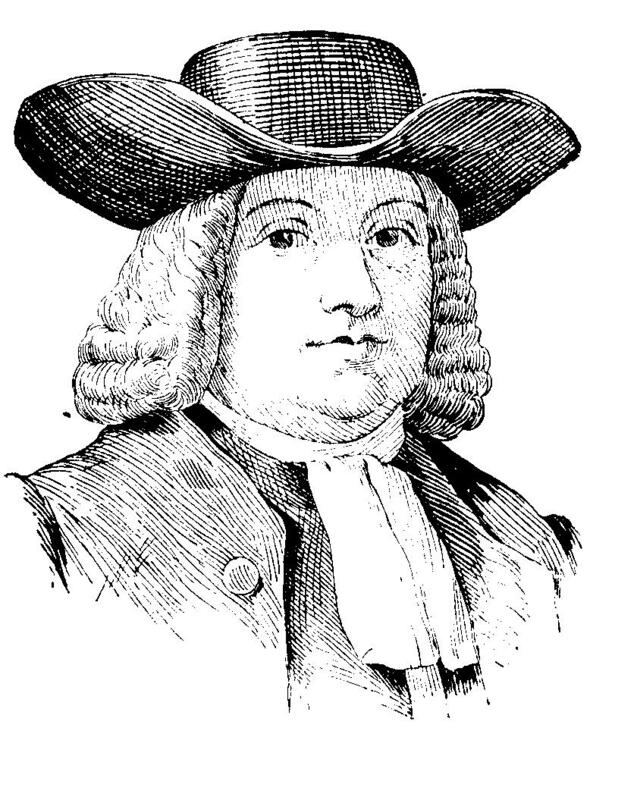 This William Penn left three children. In December, 1763, the more desperate of the young men about Paxton banded together, destroyed a peaceable Indian village at Conestoga, and scalped all whom they found at home. The remainder of the tribe were placed by the authorities in the Lancaster work-house for protection, while a proclamation was issued for the arrest of the murderers; but few days later a troop of horsemen broke rote the building and massacred its inmates. 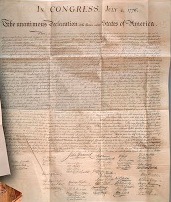 Penn issued a proclamation offering a reward for the capture of the murderers; but this had no effect. A battalion of regular soldiers was ordered to Lancaster, and, by the united efforts of all citizens, a bold front was presented when the " Paxton boys" appeared at Germantown oil their way to murder the Bethlehem Indians, who had been housed in the barracks in the Northern Liberties. This outbreak had barely subsided before the young governor was embroiled with the assembly on an offshoot of the old quarrel as to the taxation of proprietary lands. This brought about the petition to change the government from proprietary to royal. Upon the repeal of the stamp-act he congratulated the assembly, and gave a fete at "Lansdowne," his country-seat, now within Fairmount park. 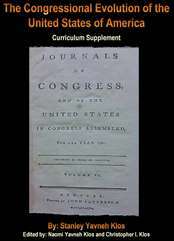 He declined to be patron of the Philosophical society because it had chosen Benjamin Franklin for its president. Start your search on William Penn.